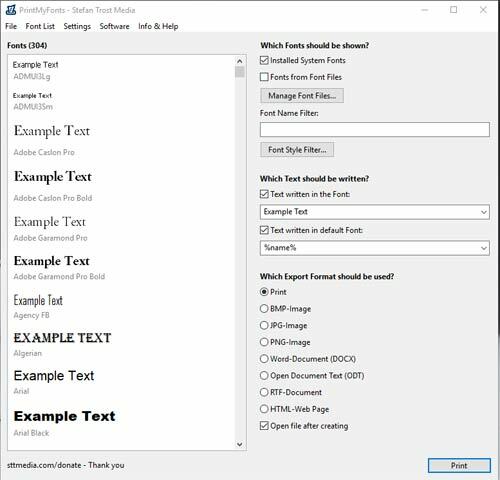 You probably have a ton of fonts stored in your computer. Probably more than you’ll ever use. I know I do. Wouldn’t it be easy to choose a font if you could see all of them together? Here’s how to do that. 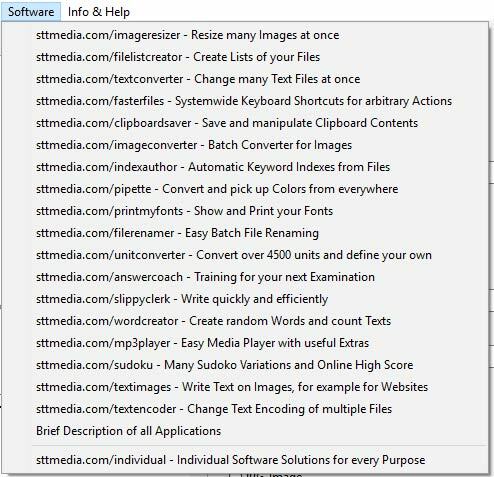 This is a free little program that runs on Windows, Mac or Linux. It’s called Print My Fonts, and you can download it here. It will download in a .zip folder, so you’ll need to open that folder and drag the file to your desktop and run it. The nice thing is, it does not need to install anything, and it doesn’t put any extra junk on your computer (at least not when I ran it). Lots of things on this page. But really, just a couple of settings you’ll probably want to take notice of. About halfway down, it says “Which text should be written?” That’s where you can change the words “Example Text” to anything you want to type in there. This is where you’d normally enter “The quick brown fox jumped over the lazy dogs” since that sentence uses every letter in the English alphabet. 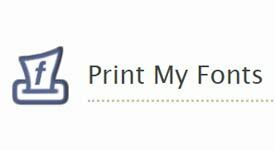 The other items is the section at the bottom – you can choose to print your sentence to paper, save it as an image on your computer, export it to a Word document or whatever you prefer. If you try out any of those other programs, I’d love to hear what you think of it!